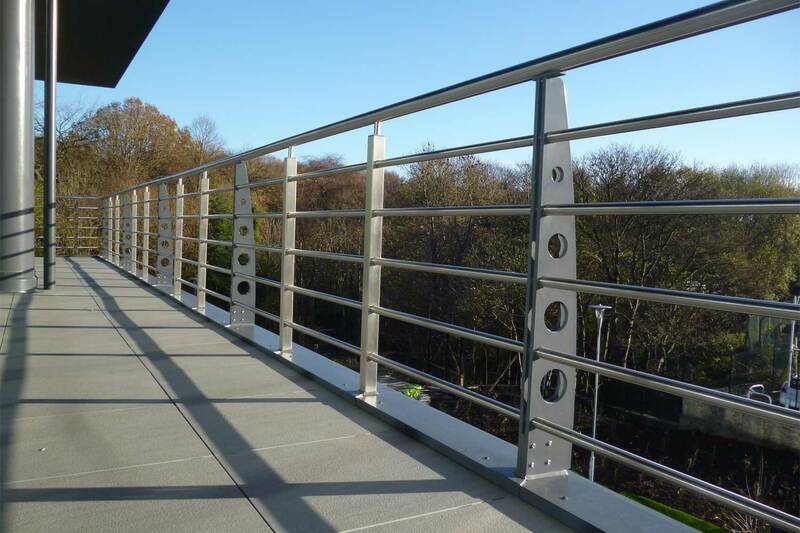 To complement our huge range of standard balustrade and balcony components, Neaco are also able to supply bespoke engineering and flexible design to adapt to virtually any need. All solutions come with our Lifetime Guarantee. Over the years our technical team has worked with numerous designers and architects to develop bespoke solutions for a wide range of projects. neaco have the creativity and expertise to meet the particular demands of your built environment. We have secured many specifications on the strength of our ability to adapt our standard products. If you need a very particular colour, our advanced powder coating facilities can provide a suitable match. 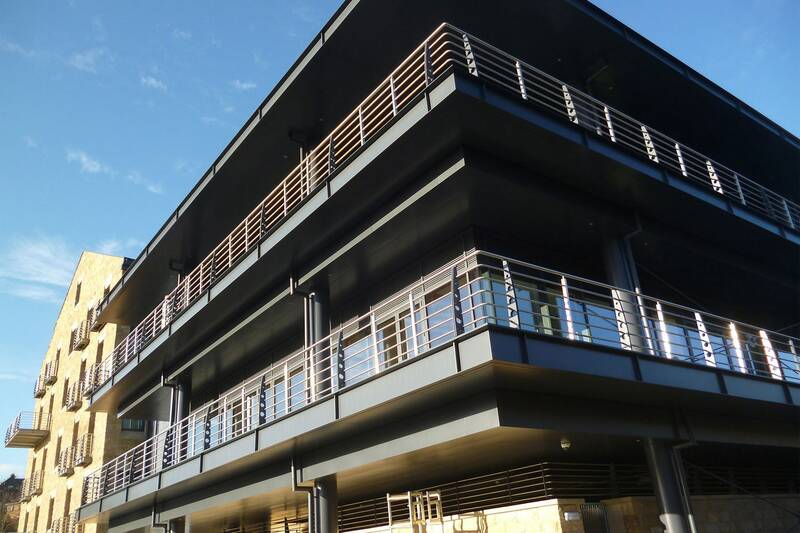 If your building facade needs an unusual bracket, we'll design and precision-engineer it. 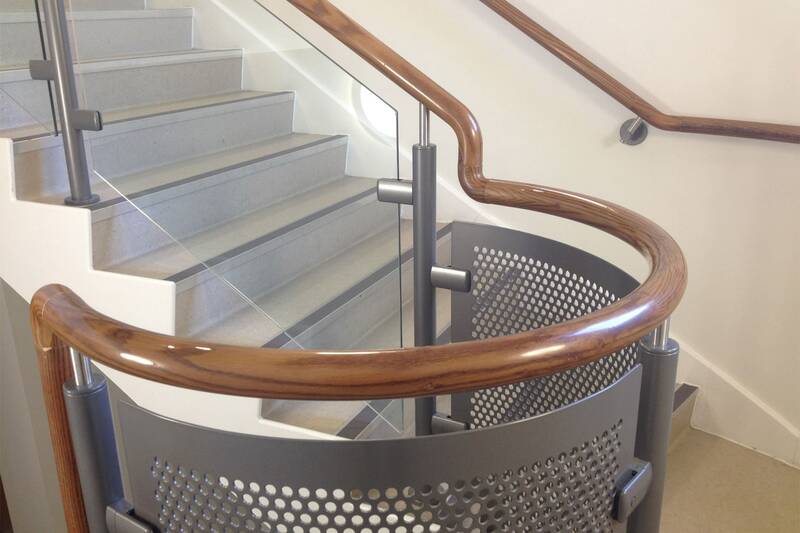 If you need a special design feature, such as laser-cut holes in stanchions, our manufacturing facilities are extremely well equipped to deliver it. At neaco, it's all about delivering your design concept, so we'll always go the extra mile to meet your needs. 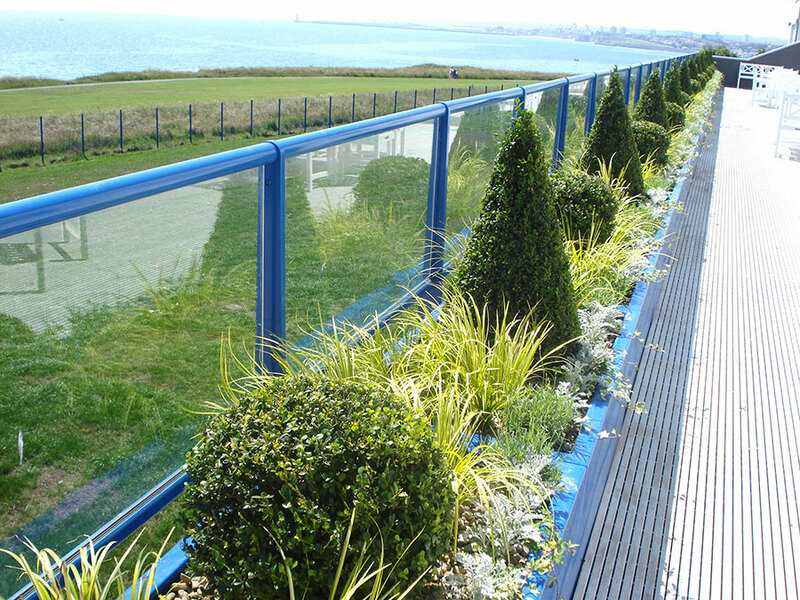 This project in South Tyneside includes external coast-facing terraces which feature a bespoke balustrade installation adapted from our Spectrum range. 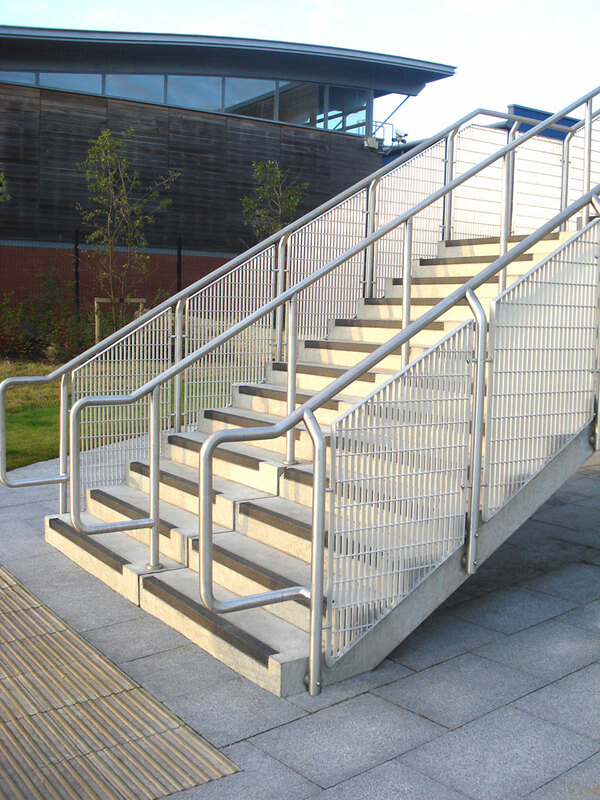 The design includes tapered flat stanchions and glass panels secured in place by channels in the top rail and a lower rail. 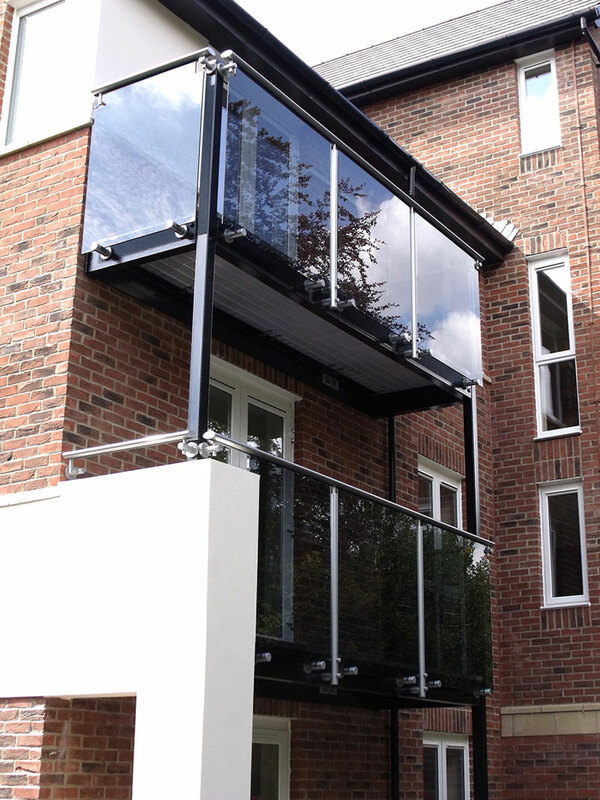 This apartment development features a variation on our standard walk-on balcony design - glass are panels offset from the main balcony structure in a similar fashion to our Juliet balconies, with circular stem brackets below and a tubular top rail above. The design also includes offset stanchions. 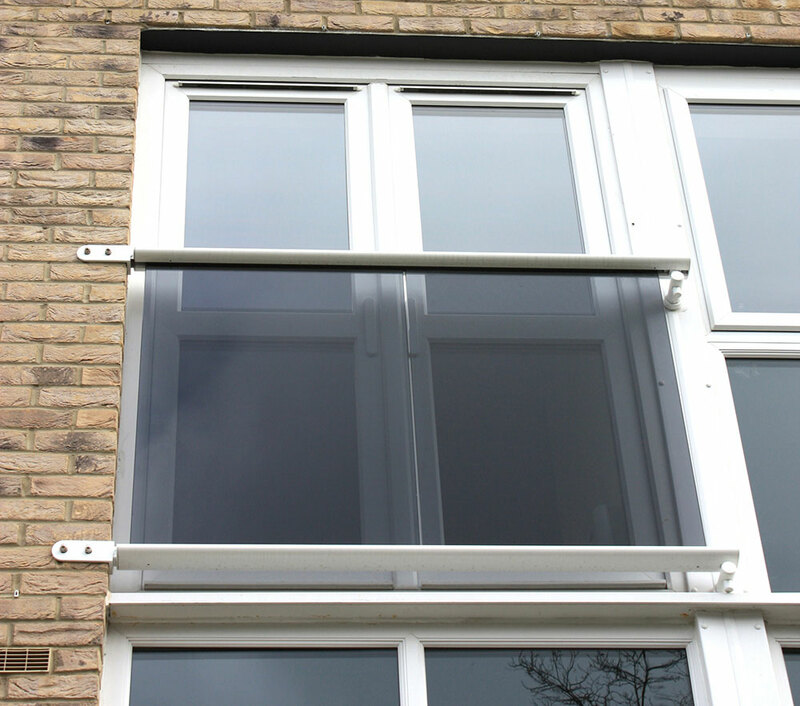 There are many examples of bespoke modifications to our standard Juliet balcony specification. This one features a bespoke fixing on the left hand ends of the top rail and bottom rail, modified to fit the building facade. With an expert technical team offering outstanding attention to detail, neaco can make subtle modifications to all types of standard components to meet individual requirements. 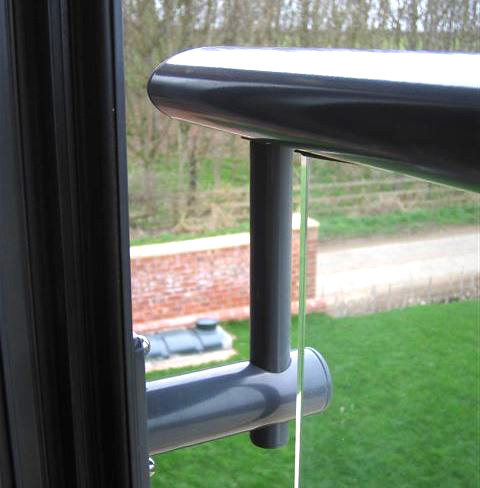 The example shows a Juliet balcony with a toprail supporting stem which is extended in height to meet the requirements of the window installation. 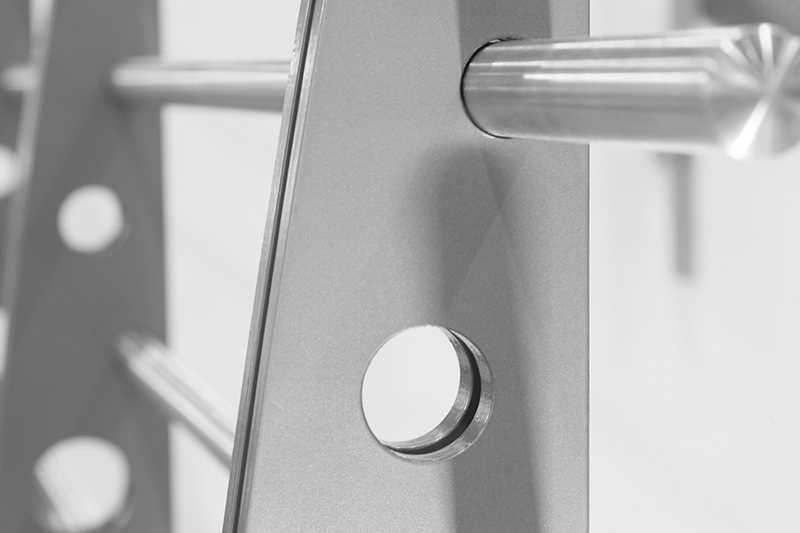 neaco's state-of-the-art powder coating facilities allow us to supply bespoke colours to individual specifications, so we can supply a finish to match your design scheme. 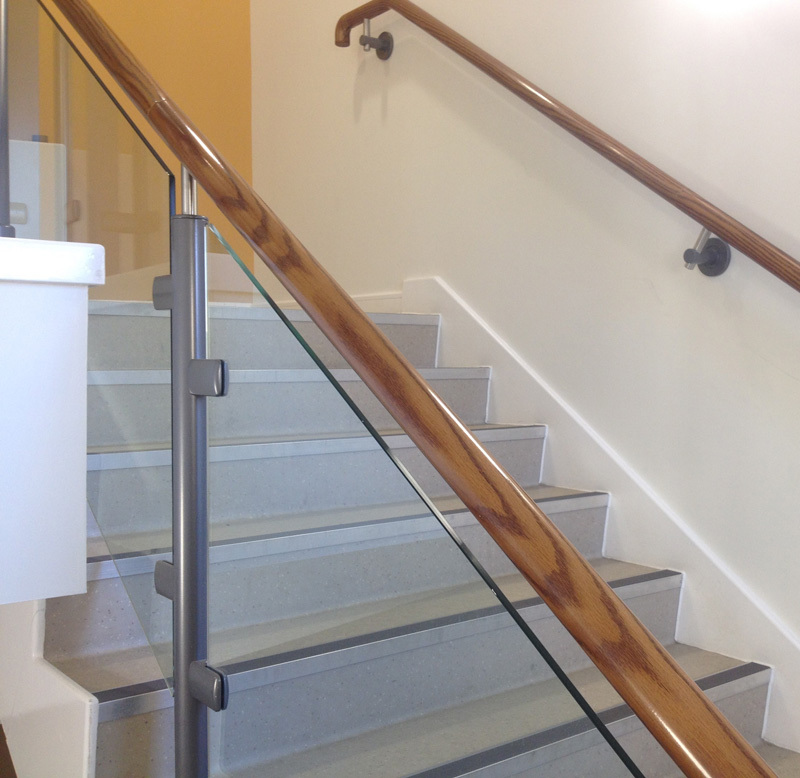 This balustrade is finished in a light blue which is a non-standard colour. Our Timberline wood-effect range is finished in oak as standard, but this project requested a bespoke walnut finish. neaco's state-of-the-art powder coating facilities reproduced its rich texture and intricate detailing to excellent effect. 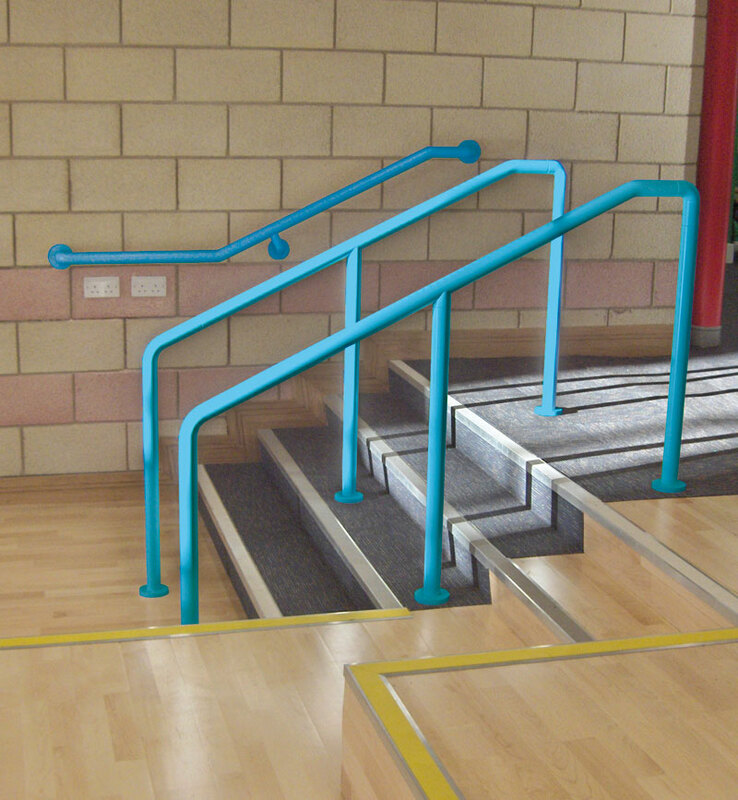 Tapered stanchions are a popular bespoke option. This example also includes holes precision-engineered at various heights. 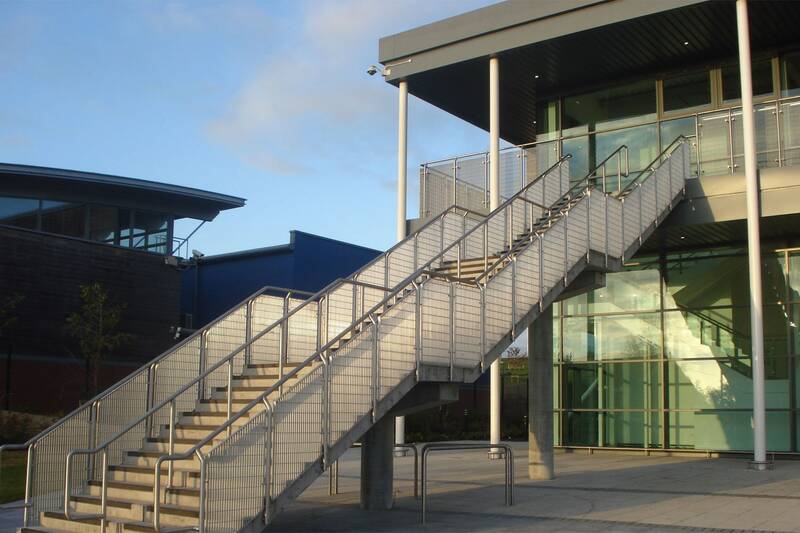 As a non-standard balustrade infill we can incorporate our Techdek aluminium open grille for a robust and durable installation. 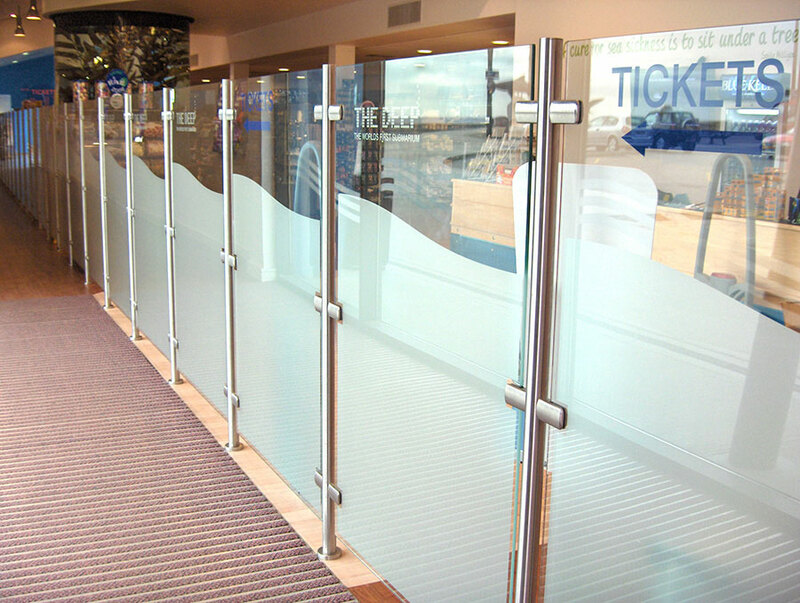 For a distinctive extra touch we can apply graphics on glass panels. 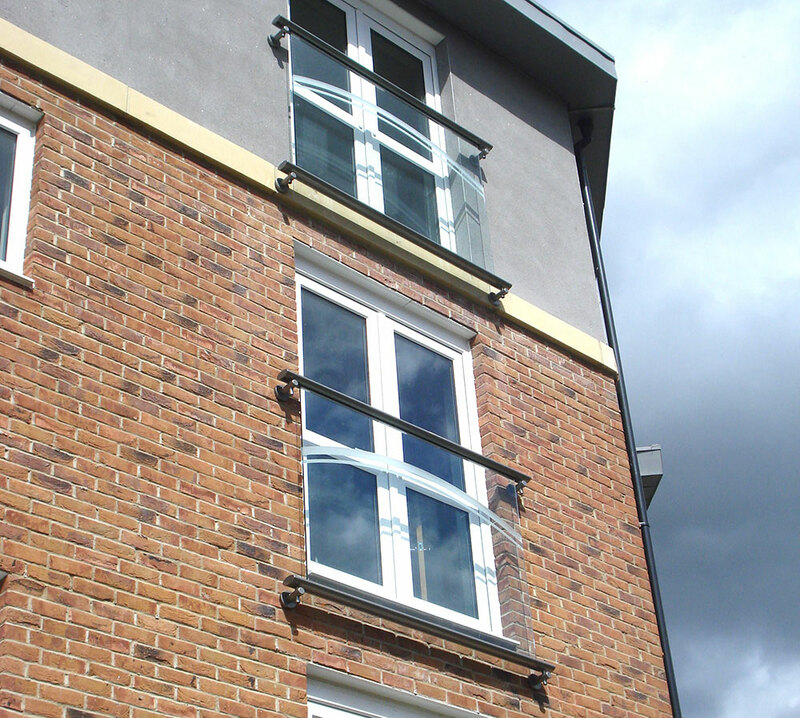 This example was applied across numerous Juliet balconies at a development in Northallerton. We applied lettering to this glass partition at The Deep submarium in Hull to include branding and avoid the need for additional signage in the reception. Bespoke corporate branding is a popular extra in many office receptions and commercial interiors. 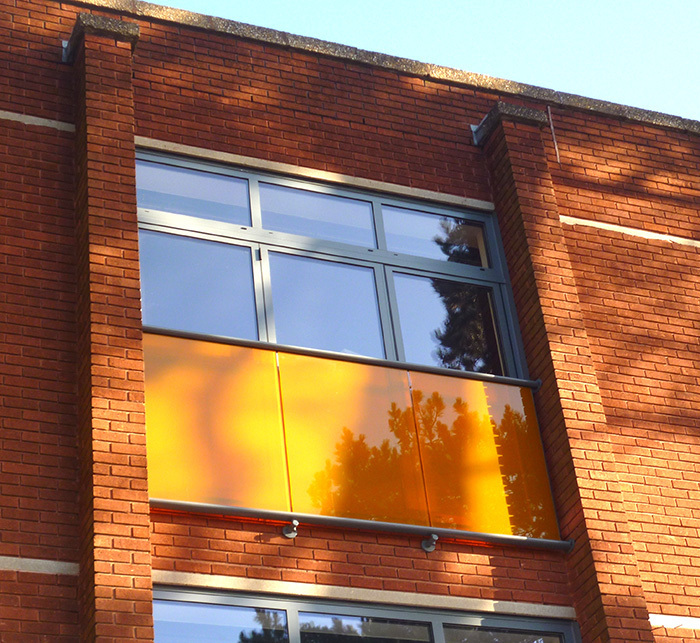 Our glass-panelled Juliet balconies are renowned for providing a clear view out, but in this case a colourful privacy film was applied at a refurbishment scheme in Northampton.